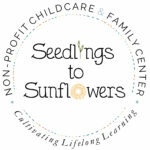 Seedlings to Sunflowers is a high-quality non-profit school with a unique and progressive approach to early education and child development. 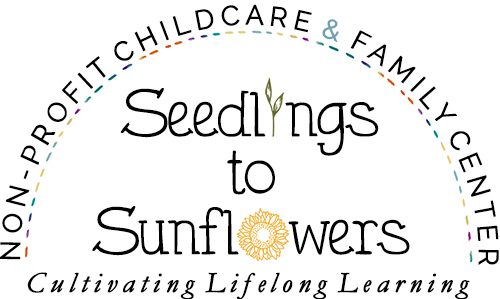 As a childcare and family center we are available to all members of the family and act as catalyst to community building. We believe in a holistic approach to child development incorporating academics, physical and nutritional wellness and play. We foster the belief that every child presented with the opportunity to belong, develop independence, cultivate generosity and master skills will develop a healthy sense of self and that their ability to succeed academically will be enhanced. Our Directors and Co-founders collectively have experience in Social Work (LCSW), Nutrition & Culinary Art. 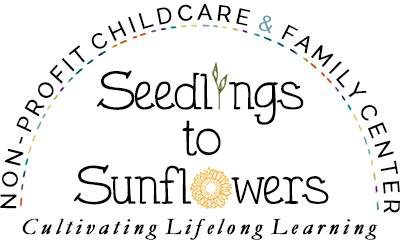 Combined, our teachers have associates, bachelors and masters degrees and years of experience in childcare and education. We have a state-of-the-art 18×24 greenhouse for our garden programming & outdoor play year round. 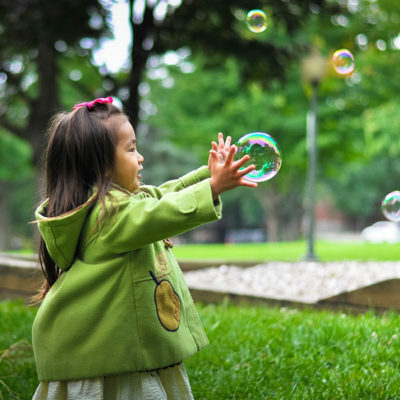 Our facility features a 5,000 square foot outdoor space with a wooden playground, raised beds, sandbox and other natural elements. Children will learn about the life cycle of food, healthy eating habits & the practice of basic meal preparation. Older children will actively participate in making snacks for the school & engaging in special cooking activities. Food will be supplemented by organic produce from a local farm. 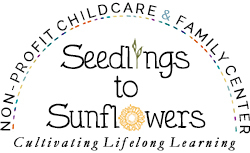 We provide support to families by incorporating them into the classroom experience, engaging them in the Seedlings to Sunflowers’ community, and providing educational opportunities and resources. Developed by David Kolb and informed by Piaget, ELM recognizes that knowledge is continuously gained through both personal and environmental experiences. Children will explore and learn language arts, reading, writing, science, math & music in preparation for Kindergarten.